Assalamu'alaikum Rainbow Quran Lovers and muslims around the world. Today we want share information about Rainbow Quran New Design Deep Purple Without English Translation. 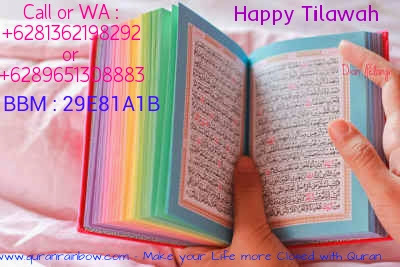 This is once varian of Rainbow Quran Falistya, The Best Quality of Rainbow Quran on the World. 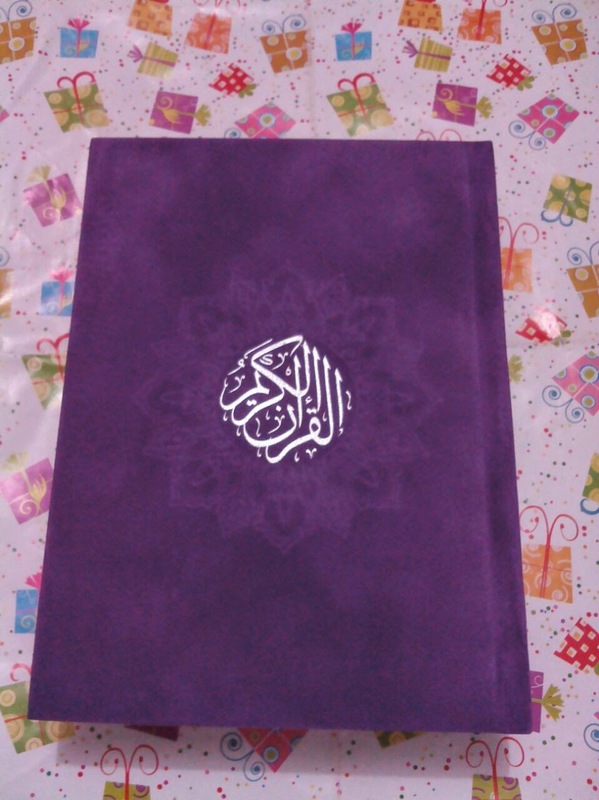 Cover of Rainbow Quran New Design Deep Purple is made from best quality soft velvet, very soft look like and you can feel when you thouce it. Very Different with other Rainbow Quran from Hard Cover. 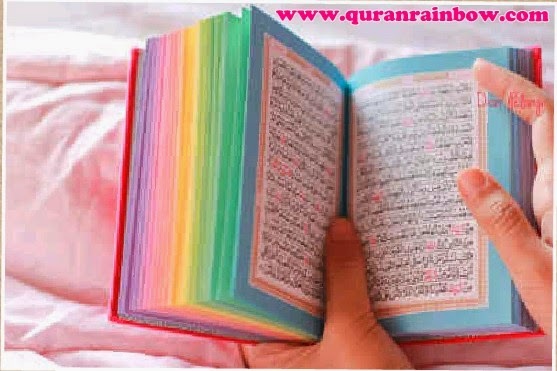 Size of this Holy Rainbow Quran is 17x12 cm (medium size in Indonesia). 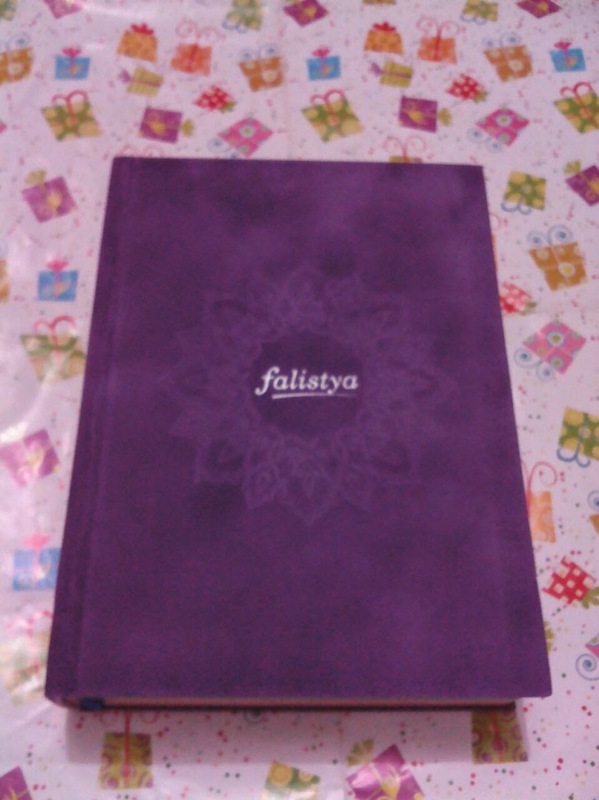 Inside of Rainbow Quran New Design Deep Purple is same with other Falistya is most beautifull on the world until this time. Arabic Text is very clear and smooth. Graduate Colour of Pages is very beautifull, colour of pages will change for every juz, so there is 30 colours page in Holy Quran make a rainbow look like. 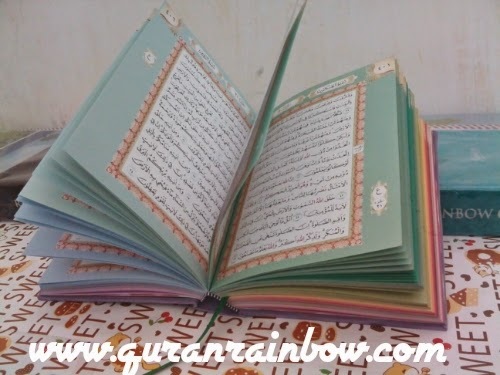 Feature of Rainbow Quran New Design Deep Purple is Arabic Text only without English Translate, use Khat Madina Uthmany Rasm. We are sorry, we still cant provide about Rainbow Quran English Translate this time because still on processing production, we hope that project can be finish faster before Ramadhan 2015. So we can distribute it before Ramadhan. 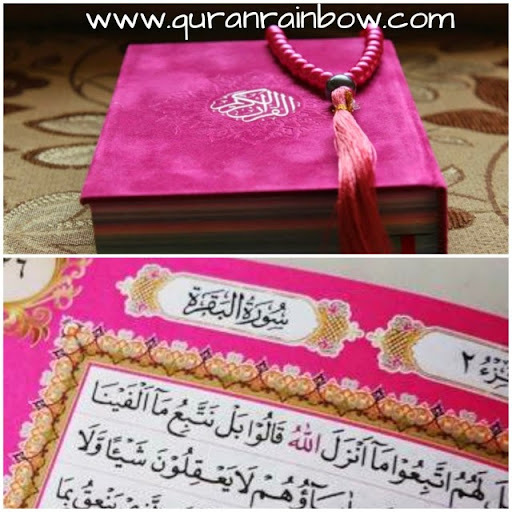 we provide Rainbow Quran buy online for retail and wholesale or reseller with worldwide shipping.